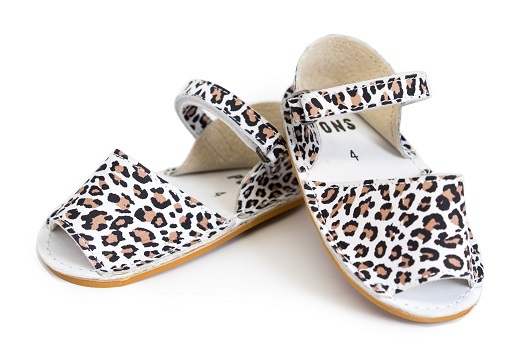 Let your littlest cub run wild with these Little Frailera Pons in Leopard. 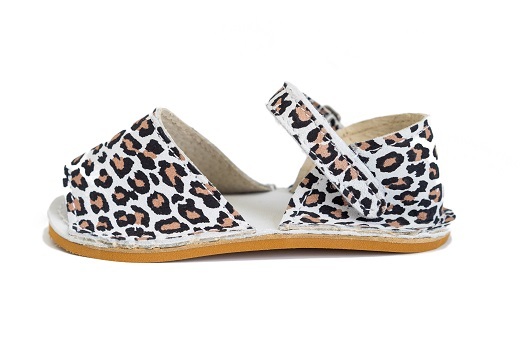 In an adorable and soft spotted leather, our avarcas are handcrafted on the Spanish island of Menorca and made with durable all natural leather, have an adjustable velcro ankle strap, and a light and flexible rubber sole. Your kiddo will feel like they rule the jungle in these little Pons!